CURTAINS > WHAT ARE EYELET CURTAINS? Eyelet curtains have become more popular in recent years, at the expense of the more traditional ‘pencil pleat’ style. They go by several names. You might hear them called ‘ring top curtains’, ‘eyelet top curtains’ or ‘eyelet ring-top curtains’. Whatever title you choose, the design is the same: a curtain with rings sewn directly into the material, so the rail can run through the top of the curtain itself. 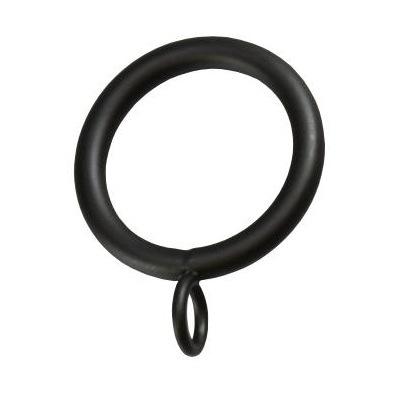 These rings are called eyelets, or curtain grommets. What Do Eyelet Curtains Look Like? Eyelet curtains have deep folds in the fabric, which run all the way from the top to the bottom of the curtain. It makes a great match for big, bold, colours, and will suit just about every room in the house. But is this design all that it’s cracked up to be? And will it make a good match for your home? Are Eyelet Curtains Any Good? Eyelet curtains have a slight advantage over other designs in that they’re simpler and a little less fiddly to hang. They don’t require additional curtain rings; they just slide directly onto the curtain pole. You won’t need to worry about uneven pleating or broken strings further down the line, either – the eyelet design will spread the strain of thousands of openings and closings across the curtain. Of course, no curtain should be pulled entirely taut - it should have an even, folded effect. An eyelet design ensures that these folds are consistent, all the way along the curtain. You’ll also need less fabric to achieve this. While a pleated curtain will need to be roughly twice as wide as the window, eyelet-style curtains only need to be one-and-a-half times as wide. This can often mean eyelet curtains are the more economical choice. These differences, though worth considering, are negligible. In practice, both eyelet and pleated curtains will allow roughly the same amount of light into the room, and roughly the same amount of heat to escape. Personal taste will, more than anything else, affect the sort of curtain you choose. Eyelet curtains are often seen as the more contemporary choice, but there’s no reason to be constrained by this perception. Ready to shop for new curtains? You’ll find our eyelet curtains here. 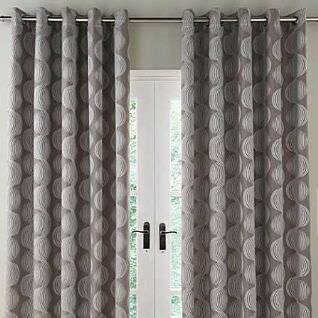 Alternatively, view our pencil pleat curtains, tab top curtains or slot top curtains.